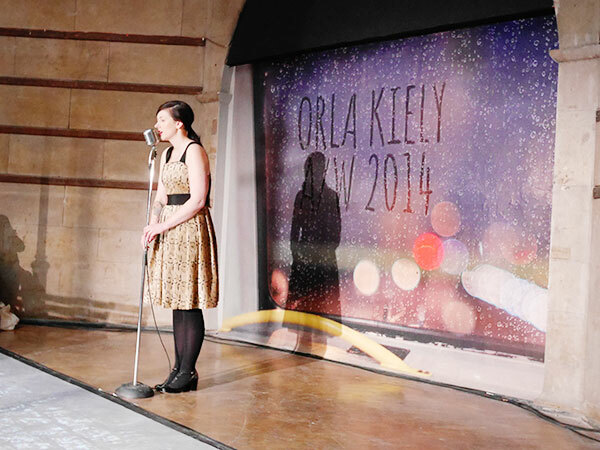 Oh, Orla. How I love you! 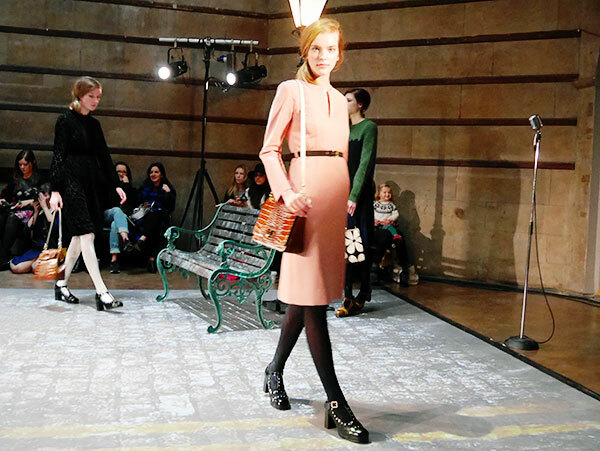 The Orla Kiely presentation is one of the most blogger-friendly at London Fashion Week – it never feels pretentious or overly ‘fashiony’, everyone’s super friendly and the clothing are always very wearable. 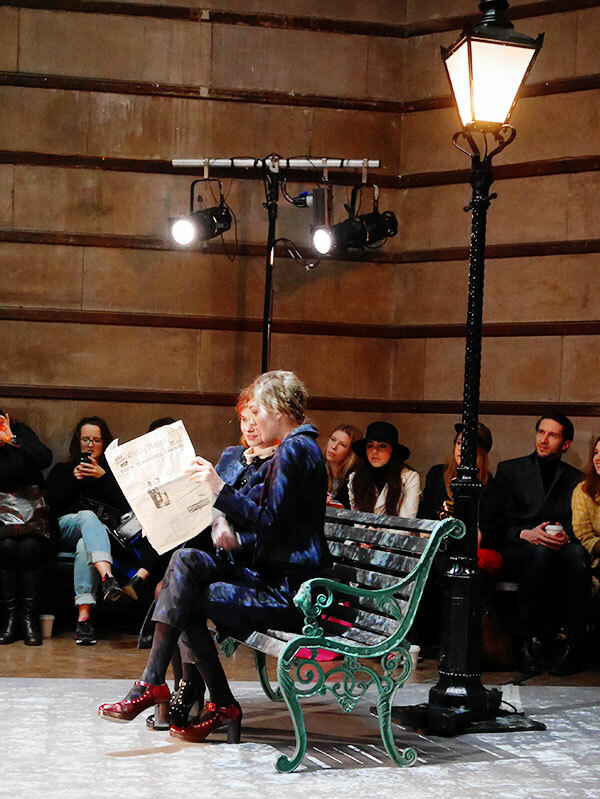 It’s my favourite event of the Fashion Week calendar and after missing last season, I was doubly excited to see what AW14 had to offer. 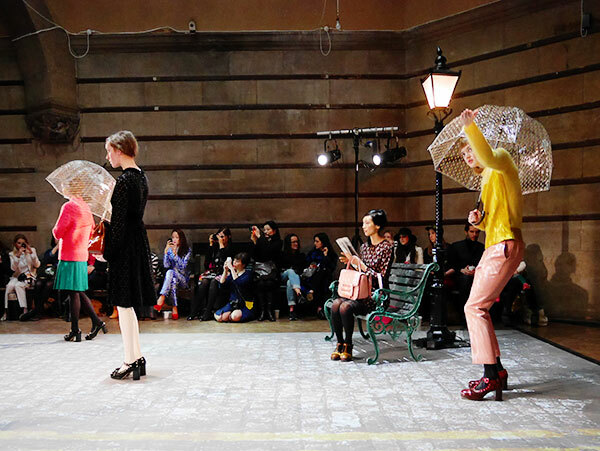 The presentation was held at the old Central Saint Martins Building on Southampton Row – a cavernous space with arching ceilings and bouncing light. We were seated on benches around a very Singin’ in the Rain-esque set, and cups of tea and coffee were handed out as we waited. See what I mean about super friendly? 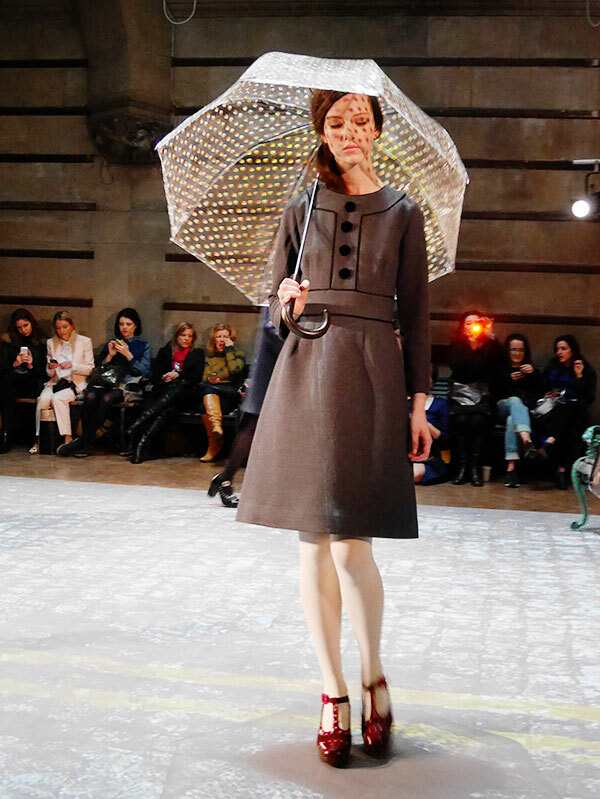 The collection was actually inspired by another musical – The Umbrellas of Cherbourg – as well as 60s British singers Petula Clark, Cilla Black and Sandie Shaw. 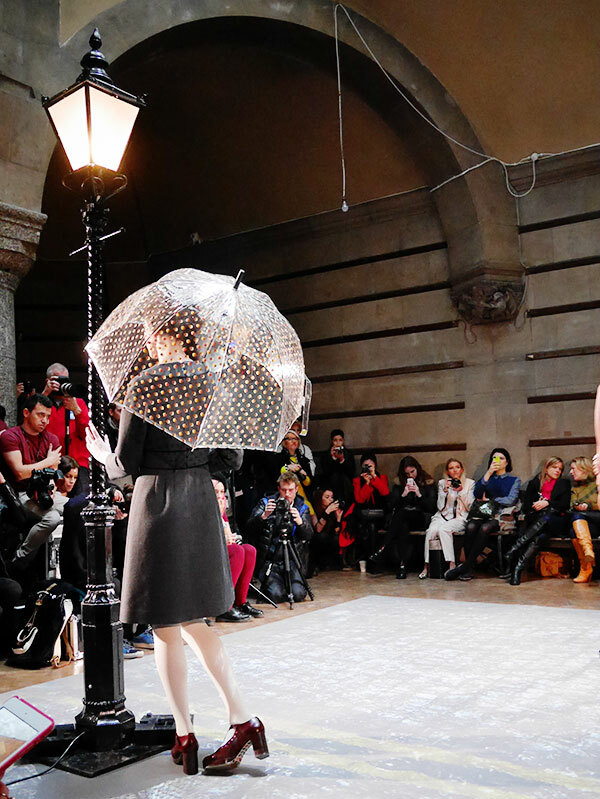 The theme was ‘raining cats and dogs’ and as the models wandered in (Orla models always wander, never stomp – a whimsical touch that fits so perfectly with the brand), a soundtrack of drip-drip-drops, barks and meows started up. 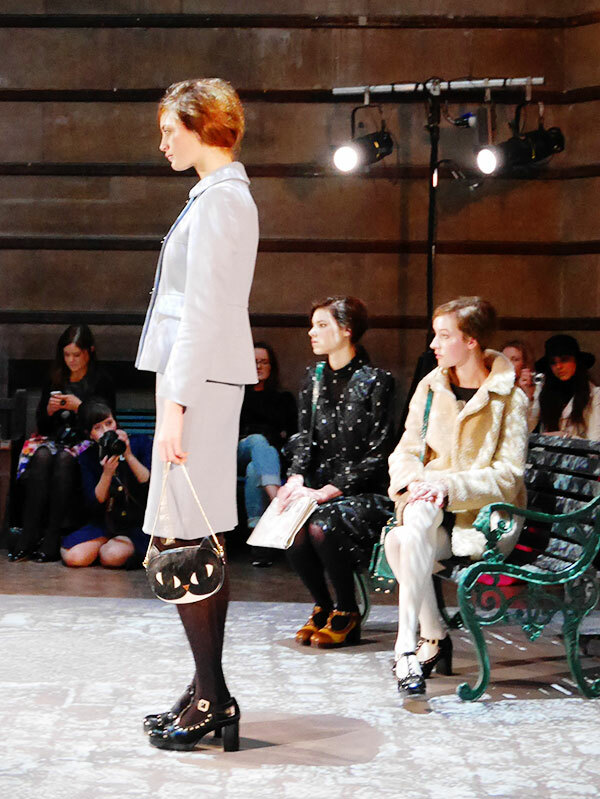 Orla has resisted the twee backlash seen across the fashion industry and stayed true to her feminine aesthetic. 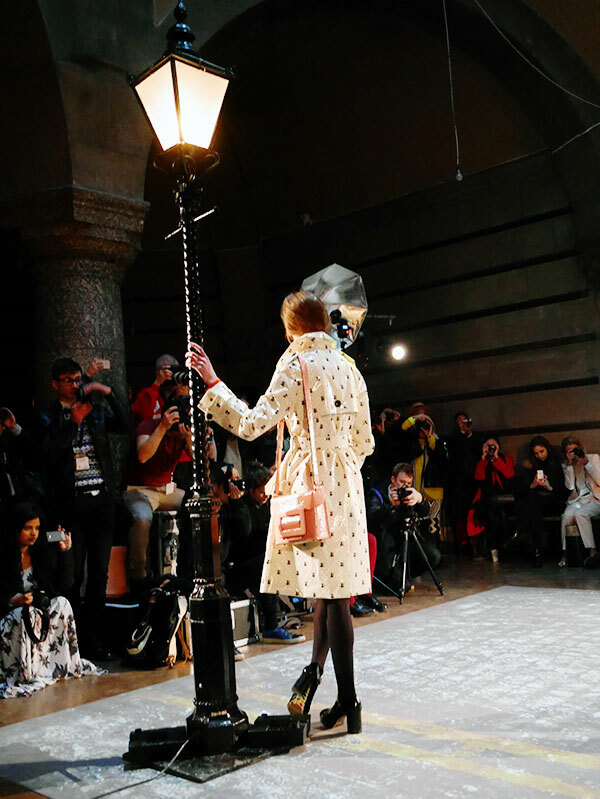 For AW14, adorable prints like ‘Spot the Dog’, ‘Ditsy Cat’, ‘Giant Snowdrop’ and ‘Flower Power Jacquard’ were splashed across plush velvets, tweed, teddy bear wool and curly shearling. 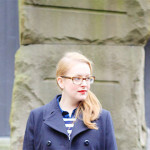 The shoes were particularly interesting for me – Orla Kiely has recently collaborated with Clarks to product an affordable (and comfortable – I LOVE Clarks heels!) range of heels and flats for SS14. I wasn’t too keen on the plasticky 60s platforms from the summer collection, but this more autumnal range was right up my street. Blocky heels in rich burgundy and shiny black – gorgeous! We were also treated to a beautiful live performance from this talented lady (whose name I cannot find), and much aaaahhing was heard when a fluffy friend came out for his turn in the spotlight. 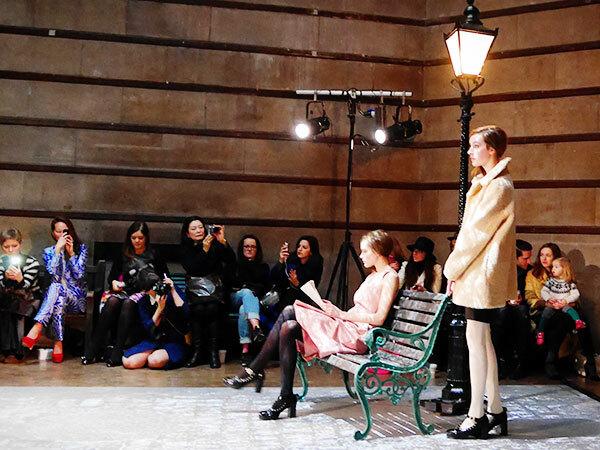 A wonderful, wearable and beautiful collection presented in Orla’s supremely creative way – can’t wait for the next one! This collection looks so lovely, and those heels are gorgeous! 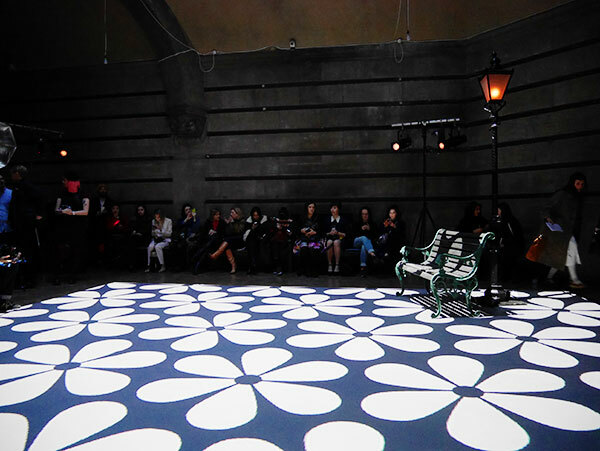 It’s definite dream to see an Orla Kiely showcase. Everything is just so pretty! I never see collections where I want every single piece but these ones always do that to me! 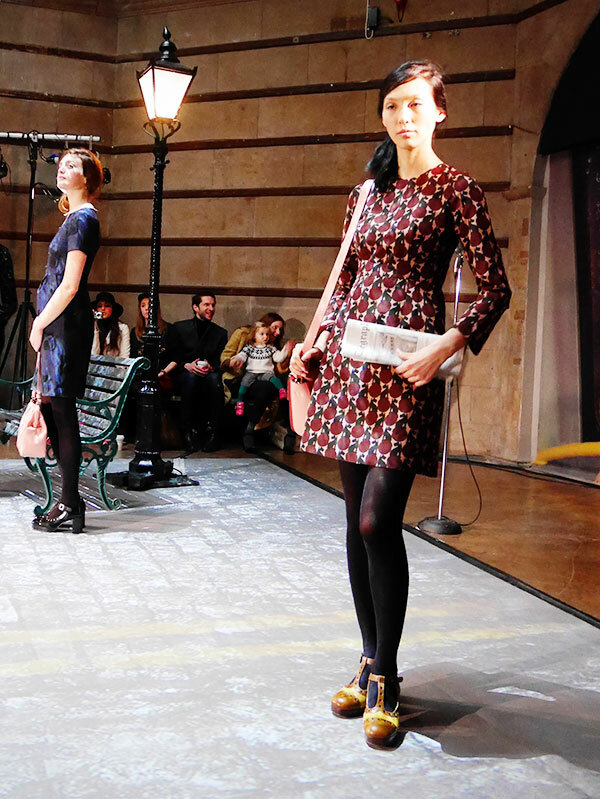 This all looks so divine, I’d love to go to an Orla Kiely show. I know what you mean about the summer shoes, I’m not too keen on the white patent. This new burgundy and black ones look amazing though, I’ll be keeping my eyes out for those hitting the shops! 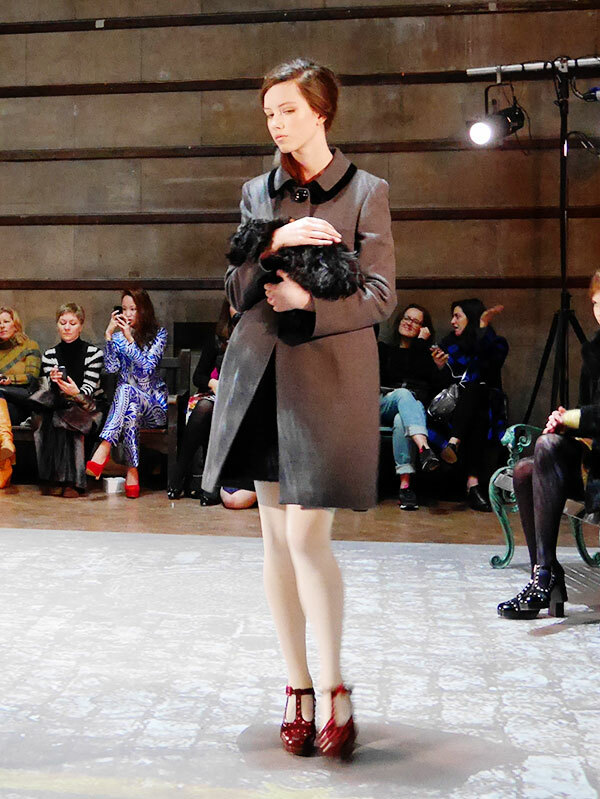 What an amazing looking show, I can’t wait for those shoes!